A rich rich moisturiser cream! So, if your skin is much drier like mine I feel like this would interest you more. I definitely much prefer a rich moisturiser over a light one any day because my skin just really needs that kick. Remember that party I went to? Hello, friends! 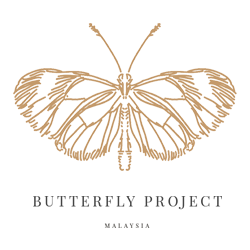 If you’ve read about the party for the Butterfly Projects ‘s 4th anniversary I went to last month, then you’d be familiar with these products. I’ve received some facial and bath products from their line.